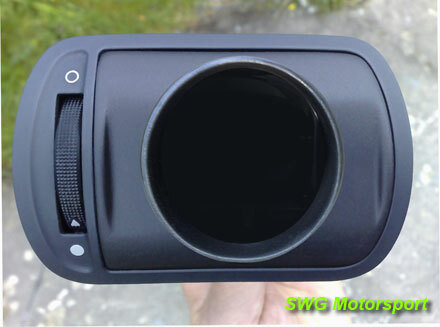 DESCRIPTION You are looking at the SWG Audi S3 & A3 complete vent pod assembly & insert which is designed by us to fit ALL Mk1 Audi A3/S3 models both pre-facelift upto 2001 and post facelift upto 2003 models. including left-hand drive models. The pod insert allows any 52mm gauge or dial to be integrated into the driverside air vent, this is ideal for keeping thar O.E look to the interior but still allowing any 52mm gauge of your choice to be seamlessly incorporated into the Audi's dash(ideal for mounting a boost gauge for your S3 or TDi etc). The item shown is a complete pre-assembled Pod and O.E Housing that simply replaces the original unit. No Gauge is included.